It may not be a cell-phone necessarily, sometimes you really need to hear new weather release from the radio, but batteries went out, our you need to charge the lighter for lighting up your camping area in the night. The reasons and situations can be very different and can vary in their seriousness and danger level. But we are quite usually caught in the situations when we desperately need electricity or any other source of power, but they are not available. 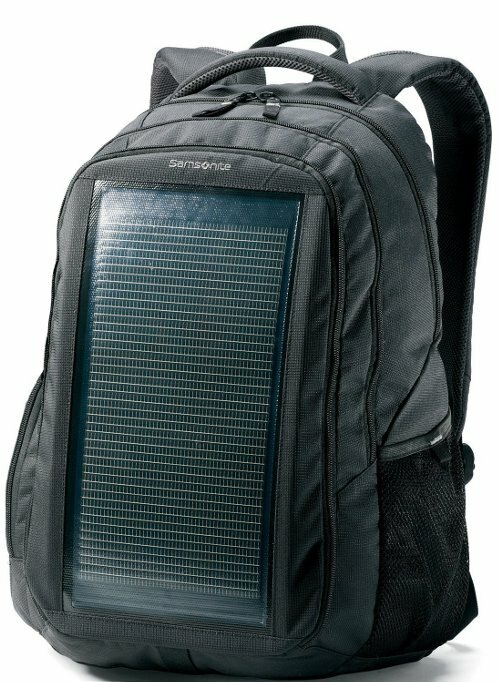 Though, now solar powered backpack can help you forget about such problems, as it gives you a possibility to carry your own small power plant on your back. Solar powered backpack has evolved from a supreme idea of charging smaller electrical devices from the sun energy. Therefore their first benefit is that it helps you to make your life easier, simpler and more comfortable. Moreover, solar power is free of charge, so you will not have any running costs, while using your backpack to charge other devices. Also you should not forget that it is a backpack, therefore you may take it with yourself anywhere you want. Its size and weight are specifically adjusted for relocation purposes. The solar powered backpacks usually come with a whole set of different cell-phone adapters and USB plugs, therefore you shall not worry, almost all of your devices can be charged with the help of this miracle of high-tech-innovation. US producer Eclipse Solar Gear has a range of different useful solar powered appliances. It also offers a line of solar powered backpacks. One of the most popular products is The Eclipse Solar Backpack – Universal. This special solar backpack combines all the traits of any top quality bag with a new, powerful, highly-productive, thin-film solar module. This thin-film solar charging module integrated into the backpack provides up to 4 Watts of power to charge any of yours handheld electronics quickly and efficiently. Another American producer, however located in New York area, known as Voltaic Company, has solar powered backpacks available. The OffGrid Solar Backpack coming in different colors is the most versatile bag on US market. The solar pocket is removable and can be easily attached to any other bags or anything else as it charges your device. Besides charging all your small electronics devices, it has 1,500 cubic inches of storage space, as well as a padded laptop sleeve, integrated phone pouch and plenty of other pockets for your own use.